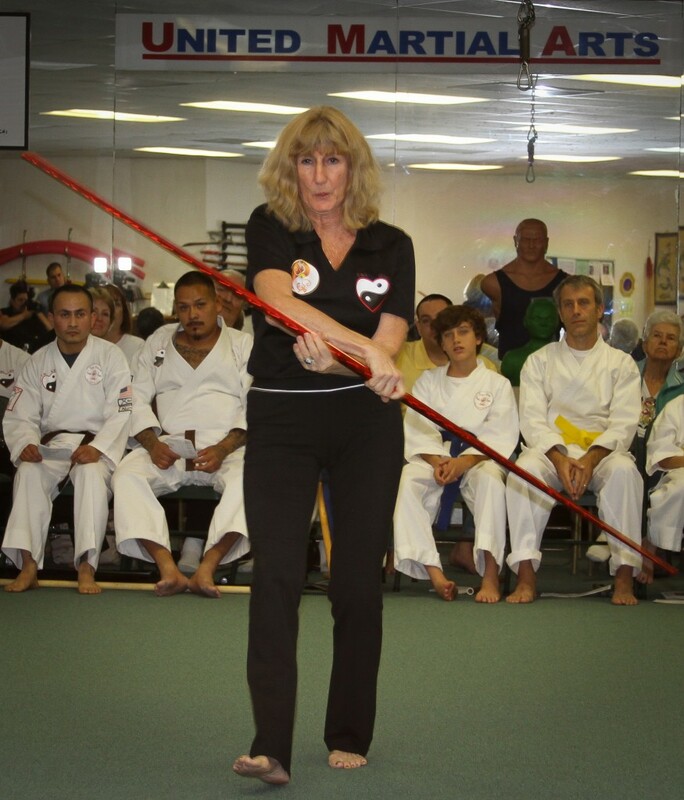 Two Sensei–Barbara Hofmann and Frank Sasso. Here’s some inspiration from two people I admire. 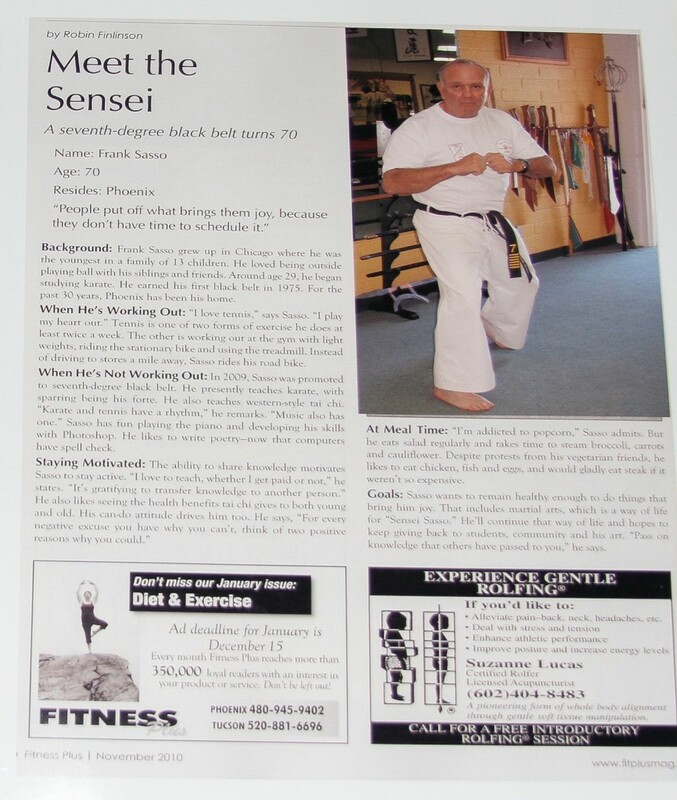 I met Sensei Frank Sasso four years ago on a freelance writing and photography assignment from Fitness Plus Magazine. 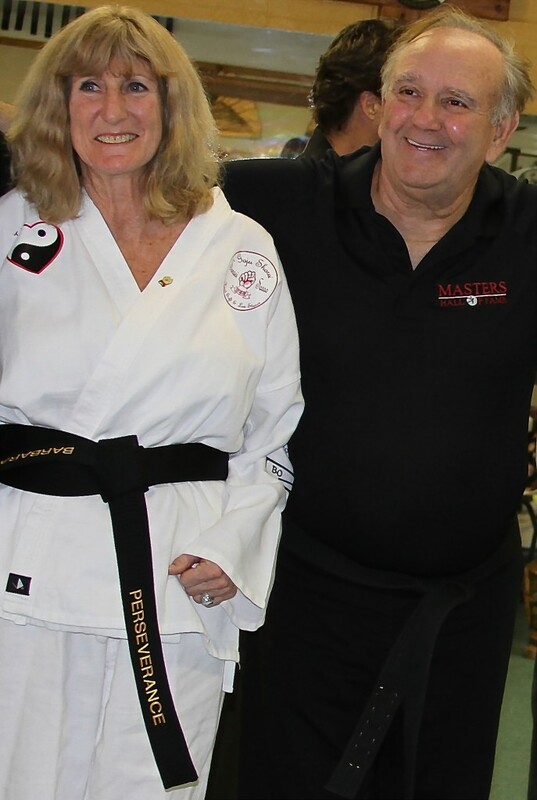 I had been sent to interview the 7th-degree black belt karate master as he was turning 70 and being honored by fellow masters of martial arts. 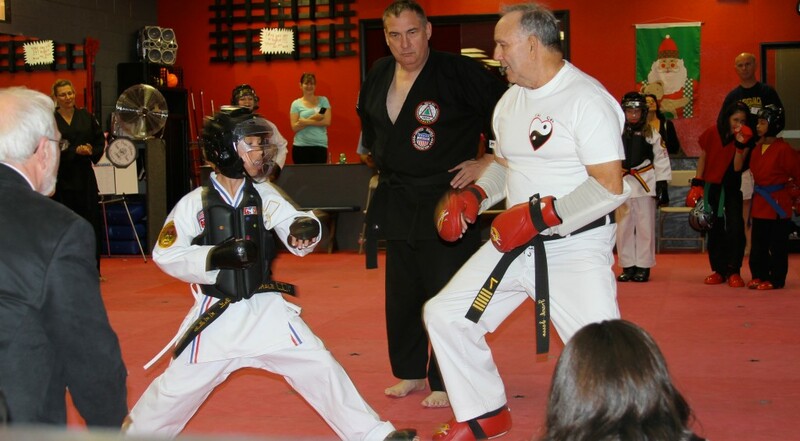 He goes by “Sensei,” which means teacher, and has been teaching martial arts for many years. Here are some photos of him in action at a meet. 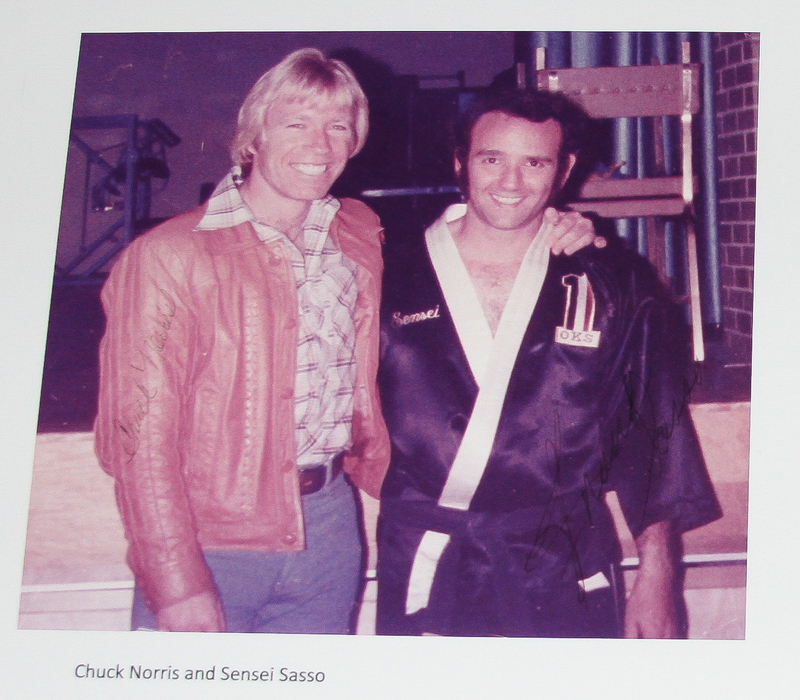 Sensei added that he, Chuck Norris, and Bruce Lee were all born in 1940. 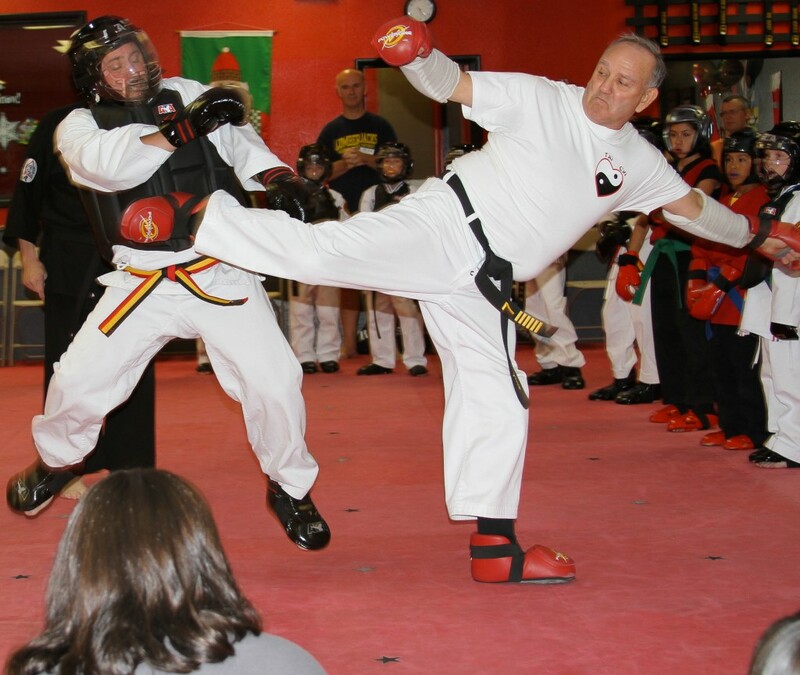 Sensei is now 74 years old. 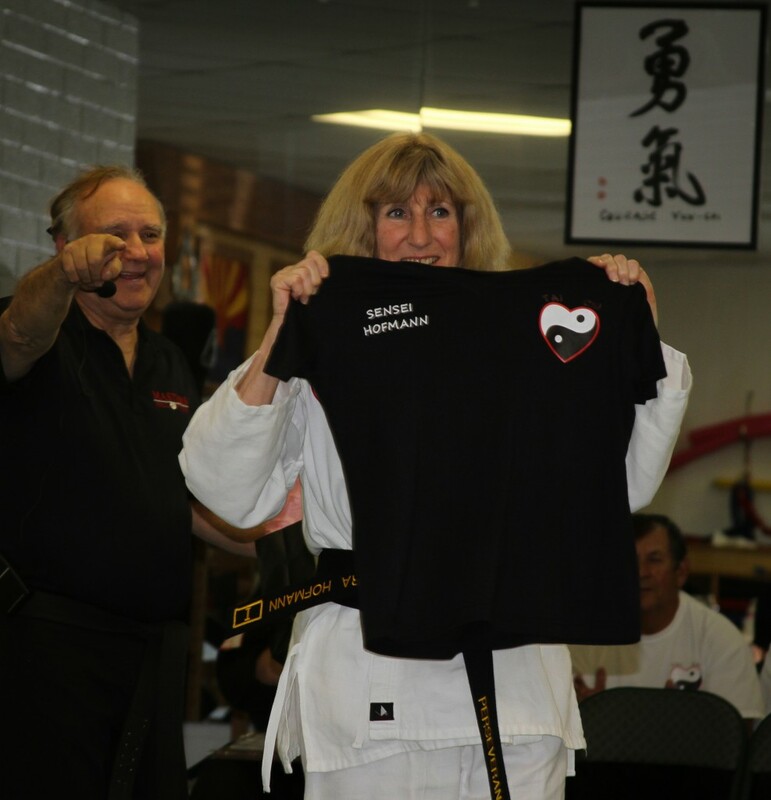 His girlfriend, Barbara Hofmann, recently earned her black belt! She is now 71. Have a fantastic day! And go reach your goals!